So, this is it – Research In Motion’s BlackBerry 10 will finally be revealed to the world today. It is a much anticipated occasion as it is generally thought that this will be the very OS could put RIM back in the picture or break the company apart. 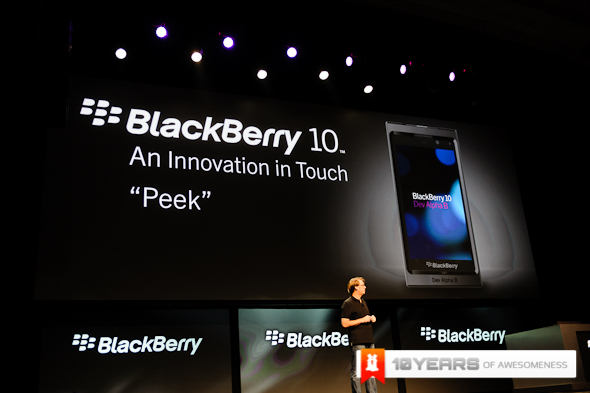 In addition to the OS, RIM will also officially unveiled the first two BlackBerry 10 devices for the first time. The launch event will take place simultaneously in eight cities throughout the world – New York, Toronto, London, Paris, Dubai, Johannesburg, Jakarta and Delhi – and can be view live via a webcast that will take place at 11pm Malaysian time later today. On another hand, how about the Malaysian launch for BlackBerry 10? Well, RIM is still keeping that a secret for the time being but they have assured us that the details will be made available very soon. Meanwhile, check out our initial look at new operating system during last year’s BBJam Americas and BlackBerry World. HTC Hosting Event on 19 February - To Announce M7 Perhaps?